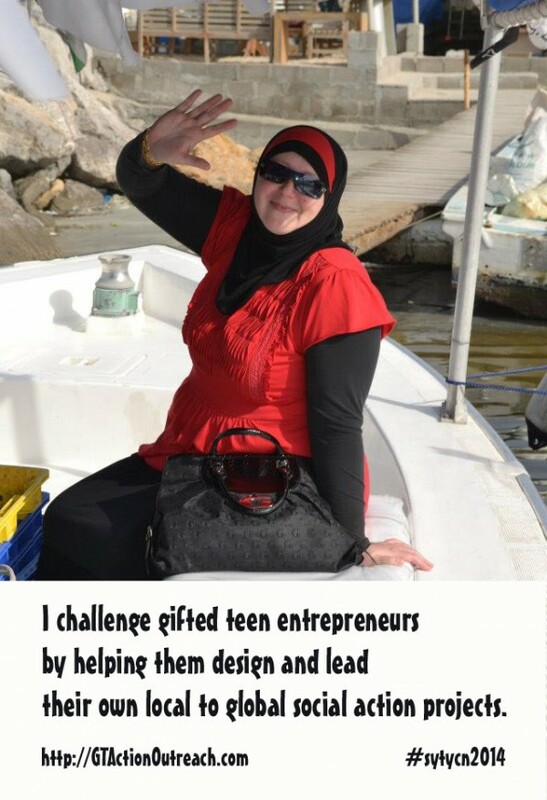 I help gifted teens become entrepreneurs by designing and leading their own local to global social action projects. Gifted teens: this is what I would call an umbrella lable. A term that’s legitimately useful for you in contextualizing who you work with but not that useful in marketing. Does gift mean a savant level of skill at something? Incredibly high grades? On Student Council? Their parents think they’re super amazing? How would one know if they were in this group or if they knew someone in this group? Local to global social action projects: what is this? Even with my background in do-gooding work I’m not sure I could tell you what this is. Sometimes it can be easier and more effective to use phrases like, “I help them create tailor made projects that make the world a better place.” Something simple and colloquial. Easy to understand. Also – if they’re entrepreneurs, are they making money? Are you helping them create a business? A social enterprise? If those pieces were clarified, I bet this would be an 8 or 9 easily. I’m inspired by the general idea of it! 9/10: I love this! Even though my daughter is not a teen, I can totally see myself signing up for this, because she does crave and need challenge, social interaction with higher level thinkers AND not have it all be supervised by me, as her mom. You packed a lot of info into that short statement – very well-written! I’d say 8.5. I’ll also say WOW! What a worthy endeavor! I want to refer teens to you! Best of luck with the biz! 10/10: Wow, awesome, so clear, for me it’s a 10. Congratulations, you nailed it with your text. I’d know exactly who to send your way, from my Gifted Homeschoolers groups and even several local teens who are “different” and would LOVE something like this! Thank you, Nicole. Do you have any suggestions for improvement? Yes! I love “leave their mark on the world!” That was a very very strong desire for me since I was a young child. I didn’t consider myself an entrepreneur until much later in life. Thanks so much for the feedback, Tad. I must admit that the perfectionist in me went reeling and I was rather stung by the 6 you offered on this. But after much reflection I understand completely where you’re coming from. The niche that I described here is exactly what I do (or should I say, am starting to do as this is still a new project for me), but after your feedback I recognized that if I were to say these exact words to someone they’d probably look at me quite quizzically. Each part of this niche statement is something important (to me) but not necessarily to someone I’ve just mentioned this to for the first time. So I’m back to the drawing board for a while to find the words that say what I want and at the same time make more than perfect sense to everyone else in the world, too.